a muslim homeschool: lets make some cute alphabet tracing worksheets! 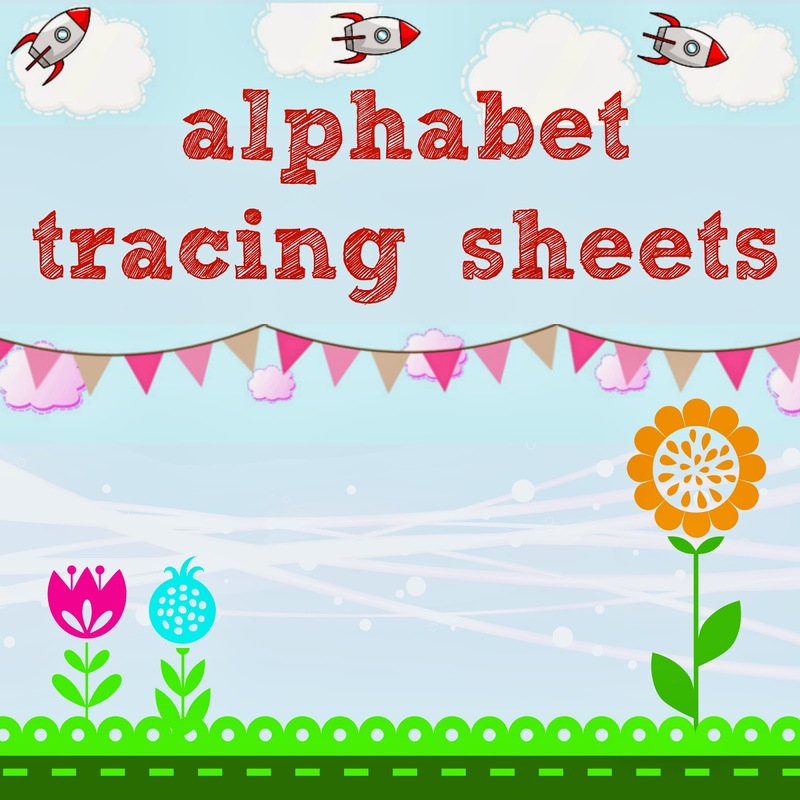 Some cute and simple letter tracing worksheets all the way from A to Z! With two designs to choose from...now don't say I don't spoil you! Alhamdulillah! For younger children, I would suggest working with your child to help direct where to start from and pencil direction. My youngest hates letter practice, and for a long time I have let her do her own thing, but I think its time to start reigning her in before bad habits are ingrained! 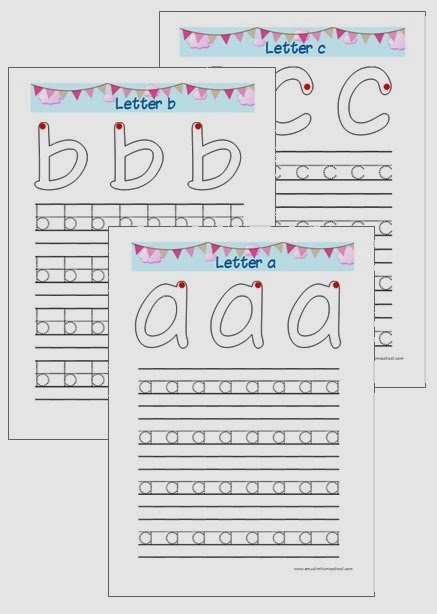 Please click here to download the Bunting letter tracing worksheets. 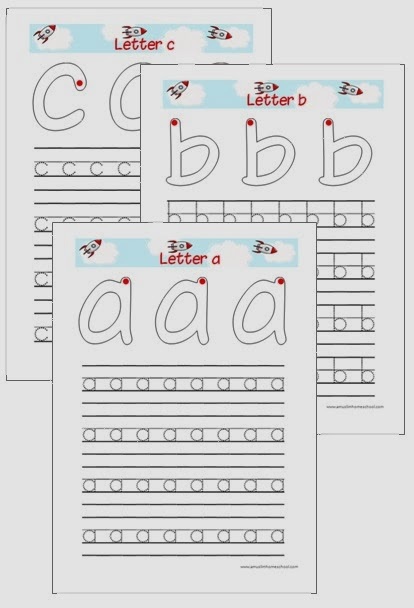 Please click here to download the Rocket letter tracing worksheets.